Over the May Bank Holiday weekend, we launch the first edition of Paracinema, a festival dedicated to films and genres outside of the mainstream. Expect a steady diet of horror, sci-fi and fantasy but also we’ll be exploring other genres outside the mainstream with special guests, previews and talks on a whole range of unusual genres and subgenres. Special Guest – Toyah Willcox. We are delighted to be welcoming actress and pop star Toyah Willcox to Paracinema and Derby Film Festival on Saturday 5th May to talk about her career appearing in classics like Derek Jarman’s Jubilee, The Tempest and the mod classic Quadrophenia as well as juggling a hugely successful pop career. • Continue reading at Derby Quad. 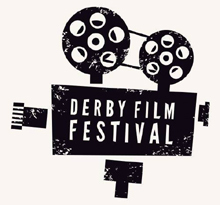 Visit the Derby Film Festival 2018 website here.